for $129,900 with 3 bedrooms and 1 full bath. This 1,440 square foot home was built on a lot size of 99 X 157. OWNERS RAISED THEIR CHILDREN IN THIS HOME, BUT IT HAS HAD TENANTS THE LAST 2 YEARS! 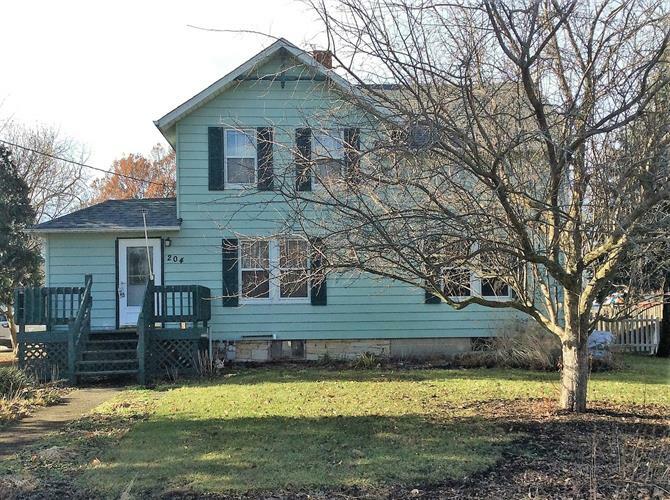 3 BEDROOMS, 1 FULL BATH UPSTAIRS AND 3/4 BATH IN BASEMENT. RANGE, REFRIGERATOR, WASHER & DRYER STAY. (TRASH COMPACTOR AND DISHWASHER DO NOT WORK.). ENJOY THE LARGE FENCED IN YARD AND 16' X 26' SUN ROOM W/CEMENT FLOOR AT THE BACK OF THE HOUSE. THE SHED WAS USED AS AN OFFICE AFTER BEING A PLAYHOUSE FOR MANY YEARS. DETACHED 2 CAR GARAGE , ONE SIDE HAS OPENER THE OTHER IS MANUAL DOOR. CONVENTIONAL OR CASH OFFERS ONLY, LISTING OFFICE DOES NOT HOLD EARNEST $MONEY. SMALL TOWN LIVING AT IT'S BEST! MALTA ELEMENTARY SCHOOL AND DEKALB SCHOOL DISTRICT 428.